Irish consumer sentiment has rebounded to its highest level in 16 months as the UK election is seen as reducing the prospect of a hard Brexit. The KBC Bank Ireland/ESRI consumer sentiment index for June 2017 rose last month to 105, the strongest reading since February 2016. Austin Hughes, chief economist at KBC Bank Ireland, said the surprisingly sharp rise in June reflected a solidly improving Irish economy. However, he does not believe the sentiment index is set on a notably stronger trajectory. “There is a significant chance of at least a partial reversal of last month’s gain in the months ahead,” he said. In contrast to Irish sentiment, UK consumer confidence recorded a sharp decline as the index dropped to its lowest level since last July. The euro zone, meanwhile, recorded its strongest reading since April 2001. The most notable improvement in the June sentiment reading were seen in relation to the general outlook for the Irish economy over the next 12 months. “In recent months, a sequence of indicators has suggested the Irish economy is currently showing stronger momentum than was generally expected and notably greater health than might have been feared,” Mr Hughes said. Consumers also signalled an improvement in personal finances. Daniel Foley of the ESRI said: “This is indicative of households improving their balance sheets over the year and could reflect moderate gains in income coupled with paying down of debt as suggested by aggregate macroeconomic data releases over the year. Despite the positivity in the survey. 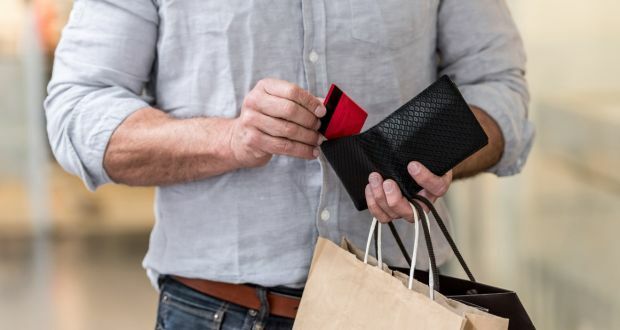 Mr Hughes warned that with a majority of households not feeling any notable gains, a disconnect is growing between the perceptions of consumers and recent warnings about an overheating Irish economy.